Star Wars. But Harry Potter does share some interesting similarities. And to be brutally honest I wish Lucas had followed Rowling’s example and trusted the audience to grow with the series. I’m amazed at the depth, nuance, and darkness in the Deathly Hallows - especially when compared to the wide-eyed innocence of Philosopher’s Stone. JK clearly trusted her audience to mature and take it all on board as things got progressively heavier. I wish George had taken the same route with ROTJ. Well, RotJ is visually and graphically darker than Empire. If not for the slapstick and if better executed the whole concept of Luke getting closer and closer to turning to the dark side, it could’ve been a pretty dark movie. Yes, it could have been. And of course there’s the alleged ‘Kurtz version’ of ROTJ which lines up with Deathly Hallows pretty well (Han dying in action, Leia left to rule a galaxy in tatters, Luke walking off into the sunset all disillusioned etc etc). I understand that Lucas always intended SW to be good wholesome fun, but I think he overcompensated somewhat with ROTJ. And I have so much indigestion that I hit submit before I put in my first comment on this board in years. And I had to edit it. And I’m not sure how I feel about the film. Even after 3 viewings. Even after trying to digest the various points of view in this thread and elsewhere. Admiral Motti had a similar issue. I’ve seen it twice and I share your confusion. I’m pretty down on the movie and yet I enjoyed it - even more the second time. Contrary to Wook’s good advice do I need to pay to see it a third time? Maybe. There’s a fundamental level of discomfort that is more substantial than mere nostalgia. My base level of discomfort comes from the fact, that the ST doesn’t attempt to connect to the rest of the saga. It simply resets the galaxy to a pre-ROTJ state, without even attempting provide any overarching story thread. It just feels tagged on. It resets the characters to that pre-ROTJ state too. I have to say I didn’t mind it in the case of Han and Leia, because I felt they were infinitely more interesting as post-divorce ‘scoundrel’ and ‘rebel leader’ respectively than they ever would have been as comfy Coruscant retirees. But resetting Luke to a pre-ROTJ state sits uneasily with me. I can picture is a cabal of nerds sitting around the writers’ table saying […] “maybe Rey could have heat-vision this time”. I still don’t get it. What about this movie makes it so like a Marvel superhero film? I keep seeing this, but what the heck are people talking about? I wasn’t actually making the Marvel comparison in this instance. It was merely an exaggerated dig at the idea of randomly ascribing powers to Rey on the basis of ‘coolness’ rather than implied training. Back in ‘83, one of the things that disappointed me about ROTJ was the sudden realisation that Lucas’ was really just making this all up as he went along. There was no ‘saga’. He hadn’t even known who the ‘other hope’ was when Yoda spoke that line in TESB. Of course this made sense in the context of Star Wars’ creation, but “Leia, Leia’s my sister” and “what I told you was true, from a certain point of view” still make me cringe to this day. So when the prequels came along you’d think this would be an opportunity to tie it all together logically - give it some weight. Instead we got a GL who didn’t give a damn about his own continuity. Anakin was the wrong age (ditto Owen and Beru), Padme died without giving Leia those famous memories, and the saga was now peppered with dumb crap like Midichlorians, the Sith rule of two, Obi/Yoda’s absurd 20-year waiting plan, and a space-Jesus Vader whose head would be unceremoniously glued onto Sebastian Shaw’s body in the world’s worst retcon. But we wore it right? We went full ‘cognitive dissonance mode’ and convinced ourselves that Midichlorians were okay and somehow made the Force all the richer, that Leia’s Force-sensitivity granted her the memories Luke couldn’t have, that there was a logic to hiding Luke with his uncle and letting him keep his old surname, that there were complex reasons Vader seemed to conveniently forget the ‘rule of two’ that was about to cost him his job, that Tatooine weather gives the illusion of rapid ageing etc etc. We’re fans goddammit! I liked TFA, despite knowing full well I was being seduced by carefully orchestrated nostalgia. But I liked it largely because I knew (assumed) that all the crazy coincidences and unexplained story threads were set to culminate in a rich, detailed, fully-realised Star Wars epic. Then I read somewhere that RJ apparently had free reign to do whatever he liked with all of the plot threads. Well surely not ‘all’ plot threads (I thought to myself) because JJ and Kasdan would have mapped it all out right? I don’t hate TLJ (I’m still not sure how I feel about it overall) and I do like a lot of the choices RJ made. But I don’t give a hoot what’s going to happen in IX because it’s clear the writers don’t either. Their guess is as good as mine, so it’s hard to feel invested. All I can picture is a cabal of nerds sitting around the writers’ table saying “we need an even bigger cantina in this one…” and “maybe Rey could have heat-vision this time”. George wrote the OT on the fly and it shows. He wrote the PT - clearly without rewatching the OT - on the fly and it shows. This series is looking similarly clunky to me. I don’t even think you have to assume Luke changed all that much within the 30+ years, tbh. The Luke I know coming out of ROTJ would absolutely hold himself accountable for failing himself and his ideals in the way he did that night. He wouldn’t just brush off messing up like that with Ben and continue pretending to be so self-righteous. I can understand his reaction to keep himself away from the galaxy because of his arc in 4-6 teaching him that action doesn’t always mean heroism. In his mind, his presence and the spread of the teachings that turned Vader and Kylo, endangered the galaxy and only doomed it to more of the same darkness. A cycle that would only continue repeating itself. You see this kind of thinking with “I shouldn’t have come I’m jeopardizing the mission” when he senses Vader is on Endor with them. And you see an extension of it when he assures Leia that she is the next hope if he doesn’t make it back from the Death Star II. If he feels he can only make something worse, he feels it best to stay away, and he knows that even when he’s gone, there is still light in the galaxy - heroes that will fight for good. I’m not saying he was right to stay away. The whole idea is that he’s wrong, and that he can still be a hero. But it fits with the character for me. I don’t think he changed drastically in those 30 years. A huge thing just put him in a drastically different place. I think my problem with nu-Luke is this - TFA presented a Luke in exile. That’s fine and doesn’t negate the OT in any way. It even hearkens back to the alleged ‘Kurtz version’ of ROTJ, which I really like the sound of. Luke in exile would be (and I think this was JJ’s intention) looking for knowledge, a new way to counter the new threat. However TLJ presents a Luke who has just plain quit. Given up. This just doesn’t seem to be his style. It seems to detract from the OT rather than just adding to it. It’s so weird to me that people see Luke vs. Guards as something other than a force choke. I wonder if part of it could be that for years, I could only watch it on VHS in pan and scan. Letterboxing just wasn’t done in 1983. The guards putting their hands on their necks might have been cut out of the frame. I only saw the widescreen version once in 1983 and then pan and scan for years until the SE came out in the theaters. I always though he was Force-choking them. I thought this, and the black outfit, were Lucas’ way of foreshadowing the possibility that Luke could go either way Force-wise. It’s so hard to put a finger on when Star Wars appears ridiculous or breaks its own supposed rules. Obviously it’s in the eye of the beholder. I quite liked Rey’s power-levels in TFA because they provided something of a contrast to the Luke experience. Luke was basically a nice suburban kid who was introduced to his Jedi heritage (and potential) in a very linear way. Given that the saga overall has established that certain folks have a knack for this stuff (not thrilled with Midichlorians but anyway…) I love the idea of a potential Jedi honing their abilities completely under the duress of the school of hard knocks. Rey learns to fight and to sense danger because it’s basically do or die. She learns skills like languages and mechanics because she needs every advantage. It’s an interesting idea. I think my limit in TLJ was the rocks scene. Maybe I need another viewing (I don’t recall any build-up or implied effort, but I could be completely wrong here!) but this just seemed to say “yep, Rey can do anything folks”. It’s hard NOT to consider the precedent set by the previous films on this one. Fighting skills are one thing - it’s easy to imagine Luke gaining such skills had he gone through Rey-like experiences in life. But she never needed to levitate stuff on Jakku. Yoda’s lifting Luke’s X-wing in the swamp was clearly a demonstration of mastery - a kind of faraway point for Luke to aspire to in some distant future if he really knuckled down and applied some serious discipline. Rey defies all this and simply…does it. In the scene she looks as surprised as I was! The new movies seem to be confused about how they want to depict the Force. They’re edging away from the ‘chosen one’ crap of the Midichlorian-era and returning to the ‘energy field’ we all know and love, yet they also seem to be saying that Force powers are springing up everywhere for no other reason than the Force itself likes to balance itself vicariously through random folks. Like I said, I’m due another viewing of TLJ, but I’m not sure how I feel about all of this. Fun to discuss though! A single 30 second scene, which has Luke telling us about a bad vision is not a proper set up. Show not tell still remains the best technique. So, i know that i am combining complaints from different people. but this is what i am hearing, and it is hard to separate the voices sometimes. In movies you tell by showing. Then please point me to where we see, in ESB, Luke’s vision of his friends being tortured? I’m pretty sure that whole scene is just done through narration. We don’t see anything at that point. And don’t say that we see things later, i’m talking about that point in time. I guess then we also needed to see what happened on Ord Mantell to be able to understand what was so bad that happened with the bounty hunter for Han to suddenly want to leave. Has the viewing audience become so dumbed down that they have to see everything on screen? Not to mention skinny Jabba and the incident with the stone-mites! Wow. I never would have guessed we’d be debating whether or not Luke choked the guards. It always seemed completely obvious to me that he was choking them. Funny how that works. As for the comparison of Luke versus Ben and Yoda… honestly, the way we ultimately see it presented in the prequels makes it very difficult to swallow what they did, and I find it very difficult to defend it outside of, “We need to tie up loose ends and get everyone to where they are in the first movie.” Honestly, the concept would have worked much better with the earlier interpretations of the Sith as a large organization of anti-Jedi. Then, with Obi-Wan and Yoda being the only two against a huge force of Sith, it makes sense for them to flee for their lives. But with the whole rule of two, it makes no sense. I mean, from Ben’s point of view, he just killed one of the two, leaving only the Emperor, and yet right then is the moment he decides he has to get away? I mean, in the original trilogy, Obi-Wan has to use obfuscation just to get past the stormtroopers on the Death Star. But in the prequel context, the Emperor’s clone troopers, the only other means of enforcement he has besides Vader, are cut down like butter by Obi-Wan and Yoda. They’re no threat at all. So rather than team up against the Emperor or leading a rebellion… they just go into hiding, leaving everyone to suffer at the hands of Imperial tyranny. Honestly, Luke’s motivations seem extremely plausible by comparison. I agree. It’s also worth noting that at the time of ANH there was no ‘20 year plan’ to wait for the ‘Jedi twins’. There was no Yoda, no ‘sister’, no ‘rule of two’, and Vader was just a nasty guy who had killed Luke’s father. Luke wasn’t in hiding, and Obi Wan was simply a retired war veteran. So I don’t think it’s a worthy comparison given how ‘on the fly’ the whole thing was mapped out. Personally I think the whole 20 year plan presented in ROTS was stupid. Vader should have been aware he had a son (with the second child born without his knowledge and taken by Bail Organa - maybe Mrs Organa’s own child died around the same time giving cover/validity to the ruse) and Owen Lars should’ve been the one to stubbornly insist Luke be raised as a Skywalker on Tatooine. Obi Wan would then retire nearby on the off chance that Vader may come to claim his son one day, and Yoda would wash his hands of the whole thing and head to Dagobah to live out his final days. You could have a scene where Yoda insists that Leia be trained as a potential Jedi and is at odds with Bail and Anakin’s wife who want her raised as a princess - thus giving credence to Yoda’s sudden ‘there is another’ brainwave in TESB which Kenobi doesn’t seem to be so privy to. I don’t know how plausible Leia’s space walk is. For all I know her survival in that moment (Force aside) is entirely scientific. But it looks ridiculous. It takes me out of the film because I start questioning it - “hang on, does that even make sense?”. Yes, it’s a universe where muppets lift X-wing fighters with a gesture, but somehow this moment is a mood-killer. It was a little weird, and the way they did the visuals made it look a little silly. Ultimately I just went with it, mostly for the reasons you mentioned. I mean, if you can pull an object to yourself, why not pull yourself toward an object? If we’re putting future stories in a creative box labeled “if it didn’t happen in the original three or six, it can’t happen”, there wouldn’t be anywhere to go. That’s generally where I stand with most of the more controversial things being discussed around here. In short - surviving the spacewalk itself is fine. They also did it correctly in that she would need immediate hospitalization for decompression injuries. But in a universe that has bacta, no problem, right? I wonder if the Leia space scene could have been inspired by Marvel Star Wars #52, in which Imperial Officers fed up with Vader choking their fellows, try to assassinate him? Immediately after seeing TLJ, I was sitting with my wife and we were discussing the movie. I was explaining why I didn’t like the Poppins Leia scene, and I told her about this amazing moment in the old comics where disgruntled officers were trying to assassinate Vader by opening an airlock behind him. I was saying how awesome it was that he used the Force to steady himself against the airflow, then marched step by step back into the ship - how this would’ve been a better way to handle it than the floating through space/doorknock thing. And here it is! Nice one! I’m seeing that Mary Poppins thing all over the darn internet. I don’t recall Julie Andrews being violently blown out into space and almost dying. Did Walt cut that after the test screeings? Sorry, I assumed we were on the same page here. My bad! The ‘Mary Poppins’ thing is entirely down to the fact that the scene looks silly. We all know that Star Wars is entirely non-scientific (sound in space, earth-conditions on planets of all sizes etc etc) but there is still a (subjective) sense of plausibility even within this ‘silly’ universe. A good example is the Ewoks. The Ewoks somehow cross a line for many people. Star Wars is jam-packed with cutesy animals and weird creatures made of rubber and a tall guy in a monkey suit - so why single out the Ewoks? Well, they cross a line. They’re teddy bears! We’re suddenly watching Paddington in Space rather than simply adding yet another exotic creature to the Star Wars lexicon. It’s a subtle thing, and a subjective thing, but it’s a thing. In the comic book you mentioned, Vader grabs a handhold as the airlock opens, calls upon the Force, and slowly rights himself against the winds rushing past him. It’s a great scene for Vader - gives him an almost ‘Terminator’ vibe and demonstrates his power. But as I write this I’m kind of realising that the same scene with Leia in Vader’s place probably would’ve looked dumb too. Ultimately I wish they’d either let her go in that scene or just not done that scene in the first place. If these guys aren’t all being sucked out into space, then a similar emergency field around a small door isn’t a stretch. Seriously people, we’re nitpicking movies where you can hear sounds in space. They can have shields that allow for open air on the exterior of the Death Star. Its’ that way when the Falcon lands in the first movie too. But in general I agree with your point, the scientific stuff doesn’t need to be nitpicked as long as its not obvious and really dumb. For instance, the asteroids in the asteroid field would never be that close together in real life. And when the Millenium Falcon flips and spins like it does when it turns around on Bespin, all of the occupants would be thrown around and probably incapacitated if not killed. Presumably the Falcon’s artificial gravity prevents this. Just like Luke and Han can sit in the gun turrets without seatbelts even though they are facing out the top and bottom of the ship. Were they? I thought they were both facing forward, but one was at the top and the other at the bottom. Yes. 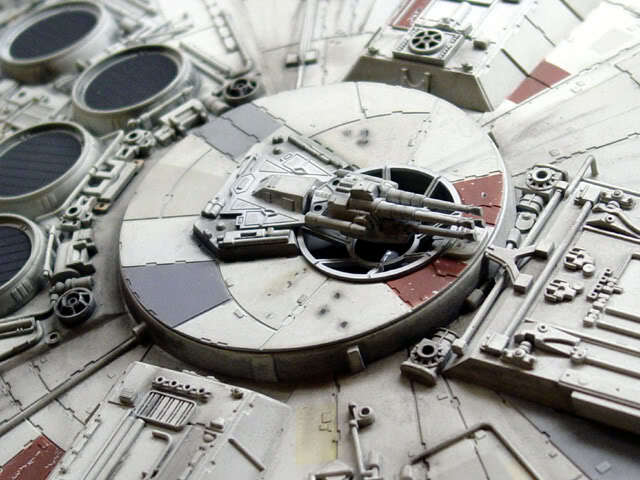 I wrote a much lengthier post about it some time ago, but the windows you look out in the Gun turrets are flush on the top and bottom of the Falcon. So top gunner is on his back and the bottom gunner is on his belly, relative to the Falcon. ANH is really the only film that actually gets the turrets operation (based on their actual physical design) correct. TFA and TLJ take some major liberties with the physics of how the turrets could really move. Also, even back in the original EU they had the idea that the armored disc the turret window is mounted in could rotate (which is made cannon in TFA) but in reality this would mean the ladder tube you climb up or down into the turrets would not be correctly lined up anymore. Okay, so I know this is really nerdy, but can you explain where the bunk bed in TFA/TLJ came from? IN ANH that entire area is a kind of messy black wall (you can see it when the Stormtroopers board the Falcon). In ESB, you see Luke on the same bed. I thought so too, but it’s not in that location. Funnily enough, I never really had a sense of the Falcon’s interior despite years of watching the OT on VHS over and over. I knew that some extra stuff had been added for TESB, but that was merely in places that hadn’t been shown in ANH. In TFA they really did a big walkaround in the Falcon - almost like a kind of Star Tours thing. I was suddenly like “no way, that’s how it all fits together?”. So I got interested and googled ‘Millenium Falcon Interior’ and got all these perspectives from the various movies. I’m fascinated by how the makers of the new film/s recreated the set, and how much they had to accomodate discrepancies between ANH and TESB, as well as 30 years’ wear and tear (it was a similar thing with Luke’s Tatooine homestead in AOTC). Suffice to say, if you google ‘Millenium Falcon Interior A New Hope’ you’ll see there’s no bunk bed in that spot! I really have no life! Merry Xmas! Maybe it was formerly a smuggling compartment re-purposed into a sleeping area? Rescued a princess, helped deliver the DS plans to the rebels. He did blow up the first Death Star. Got a medal for it too. If he never did another thing after that, he would be a legend. 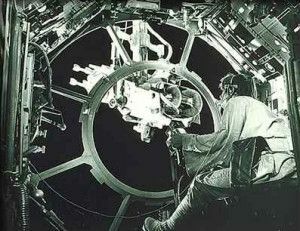 The shield generator mission might have not succeeded without Han being there, or Luke making the Ewoks into allies. I’m sure 30 years on, the stories about Luke have been retold over and over to the point that they only bear passing resemblance to what actually happened. Yeah, but I’m talking specifically about ROTJ’s climax. The whole build-up throughout the OT was about Luke being the last hope, the only hope, not abandoning his training, not giving in to the quick and easy path etc etc etc. “Only a fully trained Jedi Knight will conquer Vader and his Emperor”. Even Lucas said that Luke’s actions on Death Star II led to the Emperor’s defeat and saving the universe. But that’s just not true. Luke was irrelevant at that point. Luke was not strong enough to defeat the Emperor on his own. He knew the only way he could do it was to turn Vader. He was willing to sacrifice his life by laying down his weapon and refusing to kill his father in hopes that he would join him in defeating the Emperor. It worked. Not sure where the confusion is. Did you want Luke to become a superhero and physically defeat 2 full realized Sith despite receiving minimal training? There is nothing to suggest Luke had any desire to defeat the Emperor at all. Quite the contrary, he threw his weapon aside and declared “I am a Jedi, like my father before me”. There’s no way the broken Darth Vader was in any position to help take down the Emperor at this point. Luke’s only concern in this entire process was a) getting out of the way so as not to endanger the Endor mission and b) turning Anakin to the ‘good side’. In fact he spent the entire process making sure he didn’t fight anybody, and only gave in to battling Vader when he was goaded (which apparently is wrong by Jedi standards). So, just to recap, Luke didn’t want to fight anyone at all (rendering him entirely useless while an actual battle raged outside), was only concerned about Anakin’s spiritual welfare (again not helpful to the rebellion/battle in any way), and his only tangible contribution to this entire scenario was inadvertently (ie not purposefully because he was only concerned with his Dad’s well-being) preventing Palpatine’s possible escape from the exploding Death Star. Which is fine (and he recruited the Ewoks as a previous poster mentioned) but none of this grants a shred of credence to the 3-film buildup that suggested Luke was the hope of the Galaxy or that Jedi themselves are a remotely good idea in this universe. If Jedi aren’t allowed to fight, turn irreversibly evil at the drop of a hat, and get cosmically forgiven for ghastly war-crimes if they selfishly save their own flesh and blood at the last minute, then I’m not so sure we want Luke to ‘pass on what he has learned’. Even more ironically, Vader got his cosmic pardon by brutally killing the Emperor! So apparently trying to kill the Emperor because he’s slaughtering thousands of rebels is a path to the Dark Side, but killing the guy in defence of your own son is infinitely more noble and a path to the ‘good side’? What are you talking about? The line before what you are clinging to is about how he won’t be turned to the dark side. Furthermore, he wasn’t useless. As he says (again) he was willing to be blown up on DSII to ensure that the Emperor was onboard while the Rebels destroyed it. His part of the mission was the occupy the two most powerful beings in the galaxy. His destiny as the Jedi saw it was to kill his father and the Emperor. His destiny as the Sith saw it was to kill his father and join the Emperor by giving into his anger. Luke chose a 3rd path. Turn his father to the light and defeat the Emperor. He was willing to die rather than give into either of the two destinies the two sides saw for him. He brought balance to the Force. Vader didn’t “brutally kill” the Emperor. He heard his son begging for ‘help’ as he was having the life shocked out of him and he threw the Emperor over a railing. I feel like perhaps we saw two different versions of the film. None of the ‘destiny’ stuff had any bearing on the war’s outcome whatsoever. There was no ‘balance to the Force’ in '83, but even if there was - so what? Do you really think the families of all the dead rebel pilots would be thrilled to hear Luke say “hey guys, I brought balance to the Force!”? How did Vader’s killing Palpatine 5 minutes before he would’ve been blown up anyway have any tangible effect other than fulfilling Luke and Anakin’s religious desires? As for distracting the Emperor, there is NOTHING in the movie that suggests this was Luke’s ‘plan’. Luke’s “soon I’ll be dead, and you with me” line was him being cocky in the belief that Palpatine wasn’t privy to the rebels’ plan. And distracting from what exactly? The plan was going great. Han and Leia were captured, rebel ships were being picked off by the Death Star. What benefit was there to Luke hiding under a staircase and saying “I will not fight you”? The things that saved the rebellion were the intervention of the Ewoks (which as another poster mentioned was thanks to Luke) and Chewie’s hijacking a Scout Walker. Luke’s battle with Vader/Palpatine was completely irrelevant to this process. The only benefit from Luke’s actions was that he accidentally created circumstances that prevented Palpatine’s possible escape from the exploding battle station. Look, I think that ROTJ (like the prequels) is a great story told badly. I think it would have been better if Luke and the bad guys had at least been at another location - say the bridge of the Executor (without the big crash into the Death Star). I also wish he’d been proactive throughout the battle - never laying down his weapon or hiding under the stairs - but actively defying Palpatine’s actions rather than just trying to keep his Zen cool at all costs. That way you could legitimately say - irrespective of the details concerning Anakin - that Luke Skywalker destroyed the Emperor outright. This is a legend worthy of future admiration and a new Jedi Order. As it stands Luke’s actions come off as a kind of private religious trip with results that have a negligible effect on the actual battle’s outcome. I see Rey’s fast progress as playing catchup to Kylo. Everything she has learned as been from him. He tries to read her mind and then she reads his. He tries to use the force on her and then she uses it on the Stormtrooper. He is skilled with the lightsaber and she uses the same trick. Kylo is her teacher, not Luke. That is why she has what she needs already. Plus the patience. Her conflict is with Kylo, her equal in nearly every area. Yes, she is picking up these incredible powers, but she is facing an adversary even more powerful and practiced. I see that as her character’s main conflict. Luke’s was learning the patience to do things right. Rey has the patience and she just needs the skills and some clue how to deal with Kylo and save the galaxy. I don’t think things are as easy for her as some are making it out. The force powers are not her challenge. Kylo is her challenge. No one else who has faced him has had any impact on him. So I don’t find her fast learning of force powers to make her a Mary Sue because they only put her on equal footing with her adversary. He character journey is defined in other ways, not by the force powers she is learning. When you look at her scenes with Kylo, she has not had it easy at all. Things have not gone her way. She doesn’t have it too easy by any means. I really like this explanation. Thanks - good food for thought. I am an unrepentant ROTJ apologist and I fancy myself the blue elephant in the room, as you can see from my name. I see nothing wrong with the idea that Force sensitivity can run in families. That doesn’t mean anyone born into a family will have it nor that anybody else can’t. Leia could well have been suppressing that part of her psyche because it was at odds with her upbringing or simply uncomfortable for her to admit. Don’t forget that Leia was the one to sense Luke hanging out under Cloud City in ESB. You could say that was all Luke’s doing or recognize it was the first inklings that Leia had latent sensitivity to the Force. In ROTJ, when Vader referenced the possibility of using turning Leia to the dark side, that was clearly a threatening tactic, not total confidence that Leia would be powerful simply by virtue of her relation. The idea that anybody could harness the Force if only they tried is far less compelling to me. Firstly, let me just state that I have no desire to trash your love of ROTJ! My comments are meant in playful fun (just to be clear since internet tone can be misread as easily as Jedi prophecy!). I’m not so much bothered by genetic Force potential as I am the extent to which the saga eventually leaned on it. The idea of Luke inheriting his Dad’s talents is fine - indeed I think it’s a big part of the SW mythos. He was a ‘great pilot’ like his father, he had much anger in him “like his father” etc. I think the Leia thing just pushed it a little too far, mainly because it was thrown in there purely to tie things up and answer the question of the ‘other hope’. The prequels then kicked the whole thing off the cliff with midichlorians and Chosen Ones and the Force conspiring to balance itself. I just prefer the more Zen version of the Force and the subtler implications of lineage/heritage presented by ANH and TESB. The point I was making is that Rey’s powers seem to reflect that later SW idea - that she is/was somehow ‘chosen’ or special or loaded with midichlorians via a particular lineage - hence all the speculation prior to TLJ. The revelation that she’s just a regular joe (a revelation I really liked in theory) seems incongruous with her ease in mastering the Force. There certainly are elements where there is no easily discernible reason for something, but once we go down this path…we sound like obsessed nerds. One of my main issues with TLJ is Rey’s character. She doesn’t actually go through any training, nor does the movie focus on her personal journey / inner struggles. Most of her time she spends just trying to get through to Luke and Kylo. Thus we are left at the end with a pretty bland protagonist heading in to the THIRD MOVIE, which is a shame because it feels like such a wasted opportunity for what could have been a really cool character. Abrams didn’t do much better with her in TFA, but the first 10 minutes or so where she is introduced on Jakku - I thought that was a great introduction for the character. In fact, for me that’s really the only section in any of the Disney SW movies that feels like “Star Wars.” It features really solid, visual storytelling and we learn a lot about Rey in just a few short minutes. (John Williams’ theme here adds a lot as well). The blue elephant in the room here is ROTJ. In ANH and TESB, the Force was basically space-yoga. It was something that anyone with the correct discipline/attitude etc could learn and perfect - the only caveat being that it was really difficult. It was implied that Luke might follow in his old man’s footsteps and have an aptitude for it, but that’s no crazier than potentially being a great footballer 'cos your Dad was. There was also nothing to suggest that Obi Wan and Yoda had plans for Luke. Obi was in retirement and Yoda seemed to have quit the Jedi business entirely. ROTJ threw this all out the window by making Luke and Leia a potential threat by birthright alone (necessitated by making Leia the ‘other’ despite no previous Jedi connections whatsoever) and creating that ‘hidden from the Emperor’ nonsense. So now these abilities were inherited. Suddenly Leia was all cosmically aware (“he wasn’t, I can feel it”) purely because she was a Skywalker. The prequels confirmed that it’s strictly genetic. Now it was all down to your midichlorian count, and Anakin happened to be loaded with these things. This accounted for his reflexes, his premonitions - plus it turned out that he was created entirely from midichlorians to fulfil a Jedi prophecy. Don’t get me wrong - I like that TLJ tried to return the Force to its roots as just an energy field used by space-Yogis. But it’s too late because Rey exhibits exactly the kind of exaggerated powers implied by ROTJ and the prequels - inherited abilities that belong to a chosen few even in the complete absence of Jedi intervention. The best defence for her Mary Sue-ness in TFA was post-ROTJ logic - you don’t have to live in space-Tibet and meditate for 6 months to hone these powers because you can automatically have a genetic predisposition. Which is why everyone thought she was a ‘Kenobi’ or a ‘Skywalker’ or even a ‘Palpatine’. It’s annoying (to a fan like me who hates this notion of inherited Jedi-ness) but it follows logically from what’s been established. But Rey gets to have her cake and eat it too, because she’s a nobody. She’s an everyman/woman like Luke was in ANH with the Force as a ‘mere’ energy field, but she has prequel-level powers. This in turn trivialises the Force because, if it’s no longer genetic, then it simply must be infinitely more accessible than the first films implied. Conclusion? TLJ is silly, but ROTJ screwed things up in the first place!